The ice has been compressing for a long time to get this blue. It takes 100 inches of snow to make one inch of this dense ice. 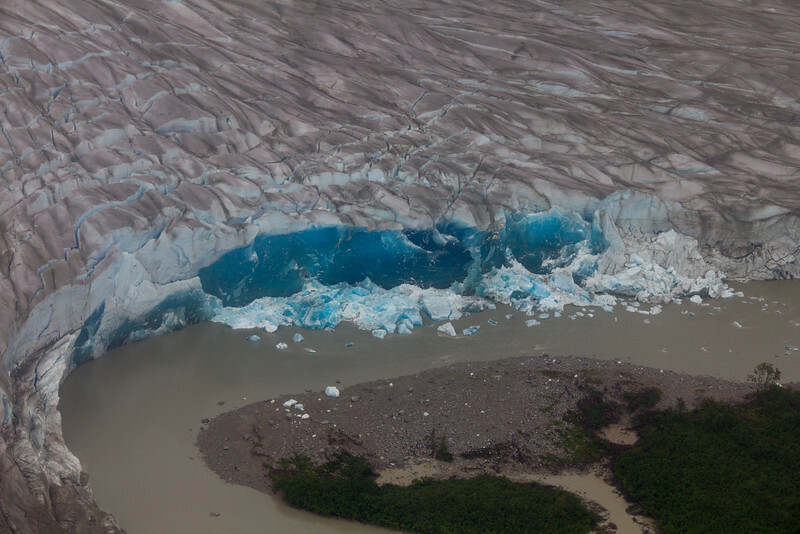 This is a tiny edge of the Taku Glacier face.